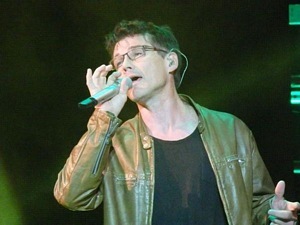 a-ha opened their Cast In Steel Tour in Buenos Aires, Argentina, on Thursday night, in front of 10,000 people at the Luna Park indoor arena. This was their first concert in almost five years and the first of 40 concerts on the 2015-16 tour, which is now set to end on 1 May 2016 in Oslo Spektrum, after an extra concert was added. The Moods of Norway suits are gone, they have a new bass player, and some of the songs have a rockier edge, but – judging from the YouTube clips – the concert wasn’t too different from what they presented five years ago. And although this is the Cast In Steel Tour, the title track was actually not performed. Only a mere three (3) songs from the new album was included in the setlist on Thursday. Before the show, Magne told VG that none of the songs on Cast In Steel are really working well enough in a live setting yet. Hopefully more of them will be added later. 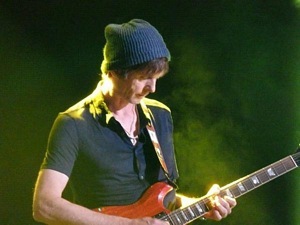 Apart from “Sycamore Leaves”, “Soft Rains Of April” and those three new songs, all the other songs in the setlist were also played during the Farewell Tour in 2010. Although this time they played full band versions of “Crying In The Rain”, “Early Morning” and “You Are The One”, instead of the acoustic versions they did back then. Breaking it down by albums, they played 3 songs from Hunting High and Low, 6 songs from Scoundrel Days, 3 songs from Stay On These Roads, 3 songs from East Of The Sun, 1 song from Memorial Beach, no songs from Minor Earth, Major Sky, no songs from Lifelines, no songs from Analogue, 1 song from Foot Of The Mountain and 3 songs from Cast In Steel. Quite an unbalanced setlist. But the audience at Luna Park didn’t seem to care much what they played, giving the band a warm and enthusiastic response. 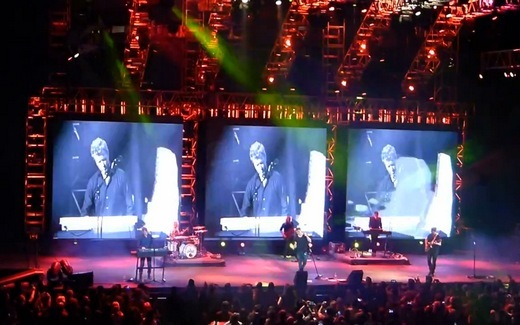 As for the visuals, although there were plenty of new graphics on the three screens behind the band, much of it was also re-used elements from the Farewell Tour. Oddly enough, footage from the music videos for “Dark Is The Night” and “Lifelines” was shown during “Scoundrel Days”, for some reason. “It was really fun, a great atmosphere and much enthusiasm! But I feel I’m a bit out of practice. 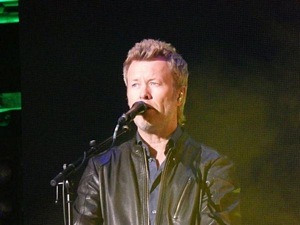 I guess I did every mistake you could possible do during one show, enough for the rest of the tour”, Magne told VG backstage after the concert. “But those mistakes were really good! Let’s add them to the show!”, Paul joked. “It wasn’t all smooth sailing, but there was a great atmosphere all the way through”, Magne said. “A very cool audience and we got through it fairly well. It felt good to be on stage”, Paul added. The tour continues with the big Rock in Rio concert on Sunday night. It looks like the festival concerts are streamed online at aol.com/rockinrio/. So keep an eye on that page. 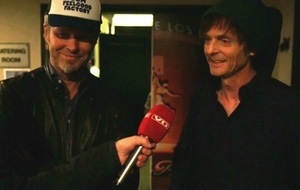 a-ha are scheduled to play at 10:30pm local time (3:30am CET).